For Kendall Fujioka (BA '14), putting on a second hat for the ABC Unified School District wasn’t exactly by choice. Stepping into the role of program director was necessary when the previous director retired, but she embraced it. 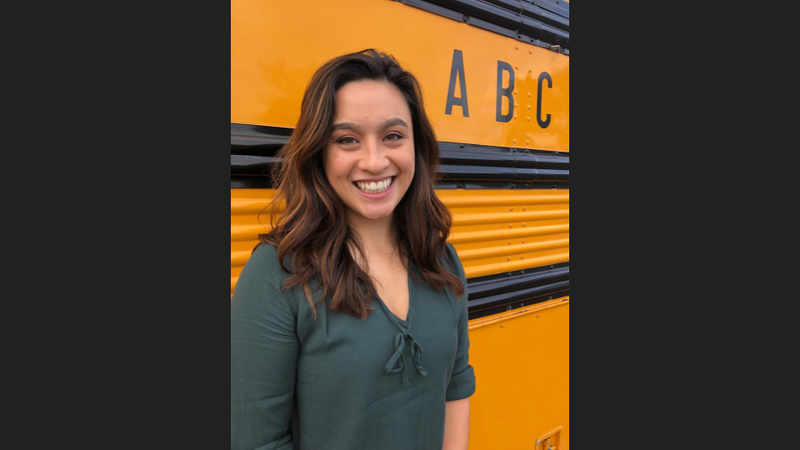 The position placed her in charge of two major grants for the district in southeast Los Angeles County and means she represents ABC on the California Student Mental Health Policy Workgroup. As a project director and member, she contributes to recommendations for state legislation to support youth mental health throughout California schools. She said her district’s previous policy was 20 years old. Part of the update completed May 2018 to reflect the changing needs of its schools included recognizing and supporting vulnerable populations. Whether the influence is from a single-parent home, a home where education is not a family value, or a home with substance use, Fujioka said children growing up in these households often go into kindergarten already a step behind peers from other socio-economic backgrounds. She said her heart is with these children and trying to get them the support they need. Prior to working with ABC, Fujioka completed her undergraduate degree at the University of Washington with a double major in Early Childhood and Family Studies through the College of Education and in Psychology. She planned to go into child and family mental health counseling. Fujioka’s role with ABC began with a Masters of Social Work internship during her graduate studies at the University of Southern California that aligned with her foundation and interests. She was assigned one school site, had a caseload, and worked directly with children. Her first official job with ABC resulted from the internship. She began in administration and management in September 2016, years before she took on the role as program director. Her position, Coordinator of Pupil Support Services and Attendance, was focused on the big-picture and fit her perfectly. Part of her job, Fujioka said, is collaborating with the District Social Worker to oversee ABC’s school-based mental health programs. Part of Fujioka’s passion comes from her own experience with mental health challenges. After facing significant suicidal ideation in college, she realized she had shown signs of depression as early as age eight. “I want to get kids access to counseling before they’re 18, 19 years old,” she said. Joining ABC, Fujioka found social workers split between two school campuses. “That’s not enough. Kids don’t have crises on [only] Monday, Wednesday and Friday,” she said. So she worked on the budget. The district now has 34 master’s level therapists and more than ten graduate-level interns providing services directly to students. Fujioka also facilitates the Community Resource Team, a collection of community-based mental health and social service agencies which reaches students and families beyond the school setting. As program director, Fujioka has less direct contact with individual students but gets to handle some of the most challenging cases. Fujioka described one homeless student, about nine or 10 years old, she has worked with since March 2016. He lives in a van with his mom and three siblings, and the trauma and living situation have created many social and emotional challenges for him. While his behavior is something many school staff have trouble dealing with, Fujioka also sees another side.